ajnealey had the most liked content! I saw that, very cool! Hey folks, One of our best customers will be moving to the Phoenix, AZ area. When she was putting together a Pros and Cons list about moving, our shop and relationship actually made the Con list (meaning that losing a trusted technician was a big factor into NOT moving away). I feel it's my due diligence to try and connect her with another trusted shop in the Phoenix area and thought about coming on here to look for one. We're all on this forum for a reason, to improve ourselves, discover best practices and make our businesses better. I feel this forum would be a great place to find a shop similar to ours...extremely trustworthy and transparent. Let me know if you might be a good candidate. I have all service records for her '04 Jeep Grand Cherokee and '08 BMW Z4. Thanks for your time! Continued Technical Training... where do you find training/classes? 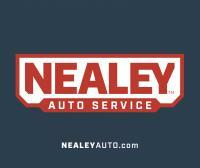 ajnealey replied to Jonathan Ganther's topic in Repair/Diagnostic Help & Tech Tips! ajnealey replied to 5 Star Auto Spa's topic in Auto Repair Shop Management Help? Post Here! Is a Web page worth the investment? ajnealey replied to lakesidetire's topic in Auto Repair Shop Management Help? Post Here! ajnealey replied to Hands On's topic in Auto Repair Shop Management Help? Post Here!